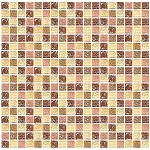 This fun and funky mosaic instantly transports you straight to Morocco! With a neutral and soft dove grey color that lightens as you approach the edge of each piece; the shape is really highlighted to its full potential! 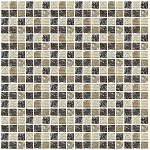 Featuring a crackle finish that is reminiscent of the past, paired with a modern color and fun shape are just a few ways Dove Grey Arabesque stands out against your standard mosaic!